Subscription page to view our larger selection of notices at http://signup.sfplanning.org. The only information required is your email address or mobile phone number, and you can change your subscription or cancel this service at any time. The San Francisco Board of Supervisors (“board”) unanimously adopted Ordinance No. 161-13 (“ordinance”), substantially amending Chapter 31 of the San Francisco Administrative Code, which governs administration of the California Environmental Quality Act (CEQA) in the city and county of San Francisco (“city”). The ordinance, which was adopted on second reading on July 23, 2013, became fully operative on September 25, 2013 — five days after the secretary of the Planning Commission filed a memorandum with the clerk of the board documenting that required tasks, including updates to the Planning Department’s website, had been completed. The ordinance comprehensively revises Administrative Code provisions governing appeal of CEQA decisions to the board. These revisions provide welcome clarification to a previously uncertain CEQA appeals process in San Francisco. Prior to adoption of the ordinance, Administrative Code Chapter 31 included provisions governing environmental impact report (EIR) appeals to the board. However, although the CEQA statute was amended in 2003 to allow appeal to a lead agency’s elected body approval of a negative declaration or exemption determination (Senate Bill 1393), the city had not yet updated Chapter 31 to outline appeals processes for negative declarations or exemption determinations. Without Administrative Code provisions governing appeals of negative declarations and exemption determinations, project sponsors relying on these categories of CEQA approvals faced uncertainty about potential CEQA appeals throughout the development process. The following is a summary of key clarifications to the CEQA appeals process implemented by the ordinance. EIR: An EIR appeal must be filed within 30 days after the Planning Commission’s certification of the EIR. An EIR appeal may only be filed by a person or entity that submitted comments on a draft EIR during the public review period or at a public hearing on the EIR. Negative Declaration: A negative declaration must be appealed within 30 days after the “approval action,” defined for projects requiring preparation of a negative declaration as approval of the project by the first city decision-making body that adopts the negative declaration. A negative declaration appeal may be filed by any person or entity that filed an appeal of the preliminary negative declaration during the public comment period. CEQA Exemption: A CEQA exemption determination must be appealed within 30 days after the “approval action,” defined for private projects exempt from CEQA as the first approval of the project in reliance on the exemption by the Planning Commission following a noticed public hearing (including a discretionary review hearing as provided in Planning Code Section 311 or 312 for building permits and change of use in certain zoning districts). If no Planning Commission hearing is required, the “approval action” is either the first approval of the project in reliance on the exemption by another city commission, board, or official following a noticed public hearing granting an entitlement authorizing the project applicant to carry out the project, or the issuance of the building permit or other entitlement in reliance on the exemption, without a public hearing. If the exemption determination is not posted on the city’s website or otherwise properly noticed, the CEQA decision may be appealed within 30 days after the appellant’s discovery of the exemption determination. Any person or entity may appeal an exemption determination. The ordinance also establishes general deadlines and procedures applicable to all CEQA appeals to the board. If an appeal is accepted, the clerk of the board must schedule a hearing on the appeal within 21 to 45 days after the expiration of the applicable appeal period. All stakeholders, including members of the public, the appellant, project sponsors or city agencies sponsoring the proposed project, must submit written materials no later than noon, 11 days prior to the scheduled public hearing on the appeal. 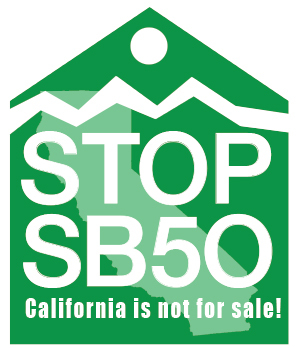 The board must decide the CEQA appeal within 30 days after the hearing on the appeal. Notably, under the ordinance, a CEQA appeal to the board may put a project on hold. For projects that require multiple city approvals, after the appeal is scheduled for hearing and until the CEQA decision is affirmed by the board, the ordinance provides that no further actions to approve the project may be taken by the board or other city agencies or departments, unless necessary to abate hazards to public health and safety. Final Approval and CEQA Statute of Limitations for Judicial Appeal: Under the ordinance, a project is considered finally approved either when the appeal period expires, if no appeal is filed, or on the date the board affirms the CEQA decision if there is an appeal.After a project is considered finally approved, the ordinance authorizes that the environmental review officer may file a notice of determination (for an EIR or negative declaration) triggering the 30-day CEQA statute of limitations, or a notice of exemption (for CEQA-exempt projects) triggering the 35-day CEQA statute of limitations. In other words, project sponsors will know by the end of the Administrative Code appeal period whether the CEQA decision is being administratively appealed to the board. However, project sponsors must wait another 30 or 35 days after the end of the Administrative Code appeal period or resolution of the appeal until the CEQA statute of limitations runs before knowing definitively whether a CEQA decision will be challenged in court. The ordinance includes several new requirements designed to expand public notice of CEQA decisions. The ordinance requires that the Planning Department implement an electronic notification system for CEQA notices, and authorizes electronic transmittal of official notices required by Chapter 31. Public hearing notices are generally required to inform the public of rights to appeal CEQA decisions to the board. All exemption determinations must be posted on the Planning Department’s website. For projects requiring multiple discretionary permits or other approvals, the online exemption notice must also describe and evaluate the whole of the project that will result from all discretionary approvals and identify any additional discretionary approvals known at the time of the exemption determination. The ordinance requires that a notice of intent to adopt a negative declaration or notice of availability of an EIR must be posted at the project site in a manner that assures that posters are visible from the closest public street or other public space. For private projects, the ordinance also requires that notice be sent to property owners and, to the extent practicable, to residential occupants within the area that is the subject of the negative declaration or EIR and within 300 feet of all exterior boundaries of that area. The ordinance establishes standards for determining whether additional CEQA review is required for a proposed change to a project that was previously determined to be exempt from CEQA. With implementation of these standards, project sponsors will have greater certainty about whether changes during the development of an exempt project require further CEQA review. These standards are particularly salient in San Francisco because the city has adopted numerous area plans covering portions of the city where new development and redevelopment are planned or ongoing, and projects within those area plans often qualify for community plan exemptions under CEQA. Specifically, re-evaluation is required for a change in an exempt project that involves an expansion or intensification of the project, including a change that would expand the building envelope or change the use that would require notice under Planning Code Sections 311 or 312 (discretionary review of building permits and change of use in certain zoning districts), or a change in the project that would constitute a demolition. Additionally, re-evaluation is required if new information or evidence of substantial importance is presented to the environmental review officer that was not known when the exemption determination was issued, and that shows that the project no longer qualifies for the CEQA exemption. If a proposed change is considered a substantial modification, the environmental review officer must determine that the modified project is exempt and make a new exemption determination, or must conduct an initial study to determine the appropriate level of CEQA review. The ordinance is now fully operative, providing greater clarity about the San Francisco CEQA process, in particular with respect to CEQA appeals and procedures for modifying exempt projects during the development process. Attorneys in our West Coast Land Use and Environmental Group are experienced in navigating San Francisco CEQA and entitlements processes. We look forward to continuing to advise our clients on a wide range of San Francisco projects. After months of proposals, counter-offers and tentative deals, not one but two versions of legislation on California Environmental Quality Act appeals were kicked up Monday from a Board of Supervisors committee to the full board. File an appeal later if the project changes significantly, as Supervisor Jane Kim has proposed with her legislation, which is supported by supervisors Campos, Avalos, Mar and Yee. CEQA Wiener, Chiu and Kim legislation is winding to a conclusion. There is one final point which needs clarification and support. The public should have the ability to appeal modifications of projects that have already passed environmental review, and these appeals should take place in fully public and-televised-hearings. 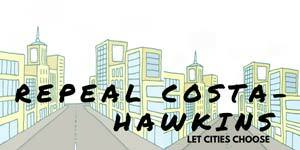 The notions of luxury condos and torrents of raw sewage do not exactly jibe. Nor does the idea of the residents of those condos — and the city — being on the hook for said fetid rivers. Engineers working on the project have suggested that the development could damage the sewer line.